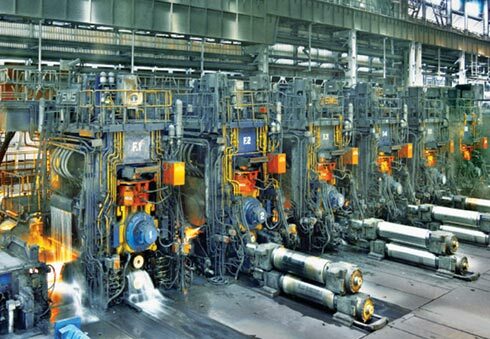 An integrated supply chain characterised by consistent source of quality raw materials, futuristic technology, continuous pursuit of innovation and improvement and an exhaustive pool of highly-skilled manpower are some of the factors that are helping Tata Steel redefine the future of Indian steel. 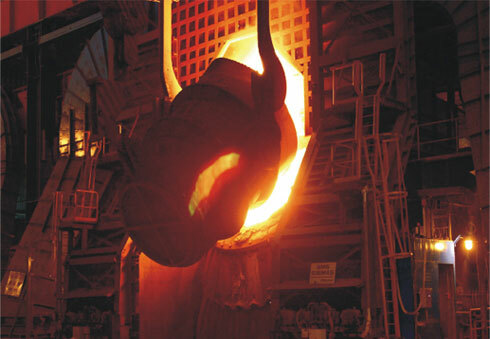 World-class steel products such as Tata Steelium are manufactured at the Flat Products Division of Tata Steel. 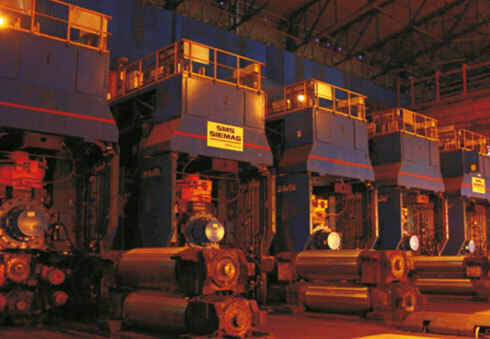 The Division constitutes facilities like LD2 and Slab Caster, Hot Strip Mill, Thin Slab Caster (TSCR) and a Cold Rolling Mill with two Galvanizing Lines.These ensure tailor-made chemistry for various applications of Tata Steelium. Run-out table cooling strategy for desired microstructure and mechanical properties. After passing through the Hot Strip Mill, the hot rolled coil is ready for cold rolling. Thin Slab Caster & Rolling Mill The Thin Slab Caster & Rolling Mill (TSCR) is the newest addition to the Flat Products Complex. The mill was commissioned on 14th February ’12 and is equipped with all the latest technologies to cater to different customer requirements. 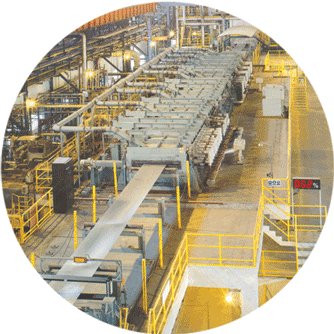 This is an integrated shop, where steel is made in the steelmaking shop (LD#3), then cast and rolled continuously. Unlike the HSM, there is no slab stage in this mill and thus, it reduces the time lag.